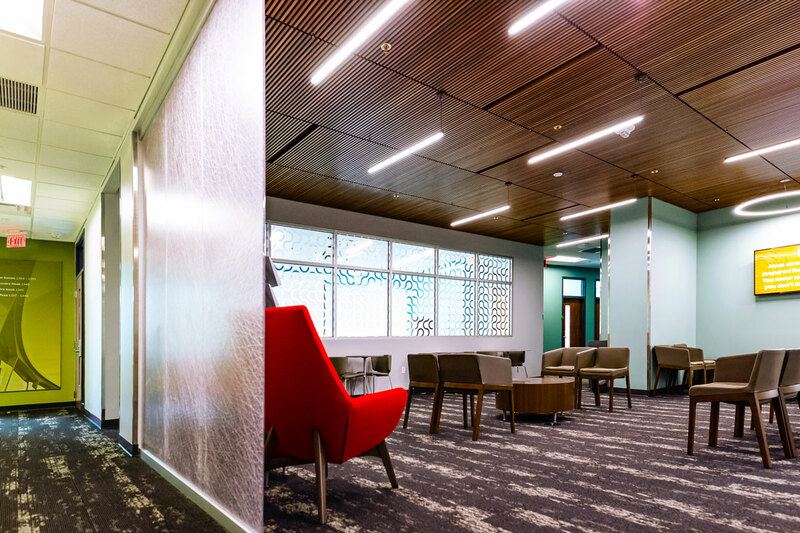 The Career Connections Center project entailed a complete, $6.8M renovation and expansion of the UF Career Resource Center, nearly doubling the existing 15,400 square foot facility. 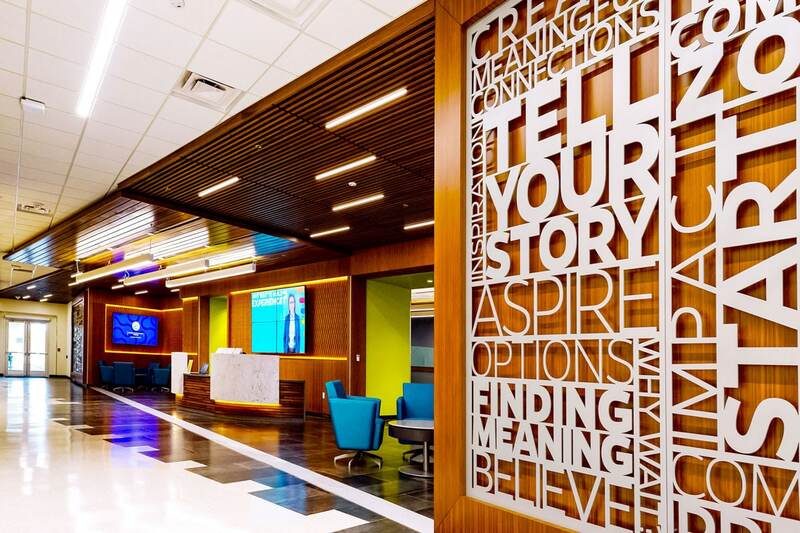 Prominently located on the first floor of the Reitz Union, the re-imagined 28,940 square foot Career Connections Center infills over 9,500 square feet of open space around the existing first floor, and incorporates over 4,500 square feet of dedicated space on the ground floor, unified by a new interior connecting stair. 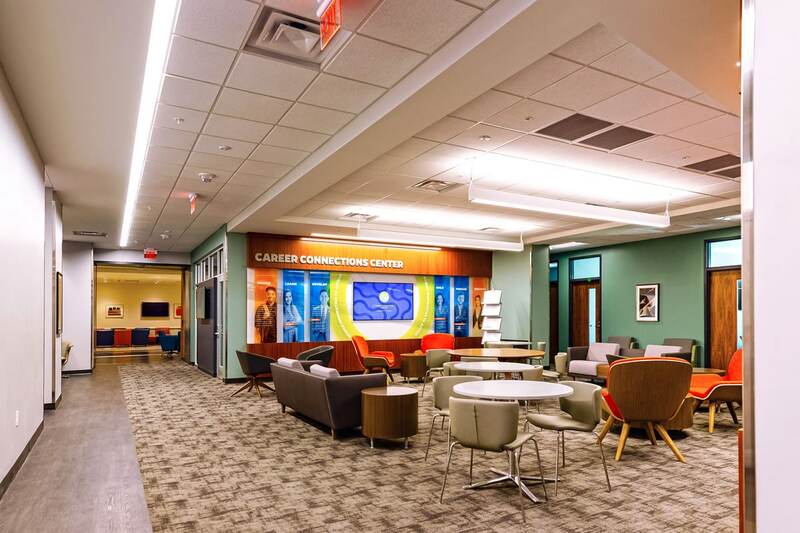 A dynamic new entry transforms and emphasizes the connection between the Career Connection Center and the Reitz Union to attract visitors and encourage students to engage with the Center as an integral part of their college experience. 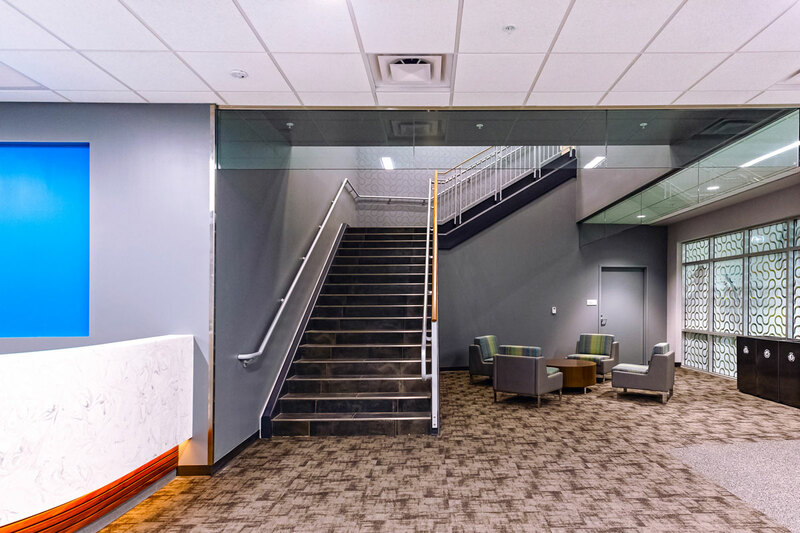 An intervening 10° angle in the plan recognizes a relocated egress stair from the Ballroom above and maximizes infilled space. 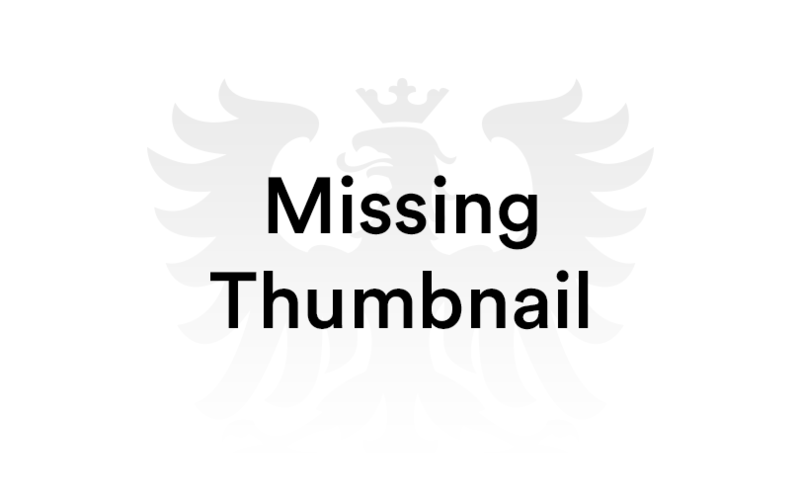 This canted intervention manifests itself as a reoccurring geometry throughout the center, including prominent locations at its entry and middle core which deliberately provide clear North-South views through the center. Thinking beyond the limits of architecture, the Design Team placed themselves into the perspective of the Employees, Employers, and Students using the Center, and developed a unique, timeless solution to revitalize the Center through the implementation of a biophilic design concept; connecting human biology and the design of the built environment. 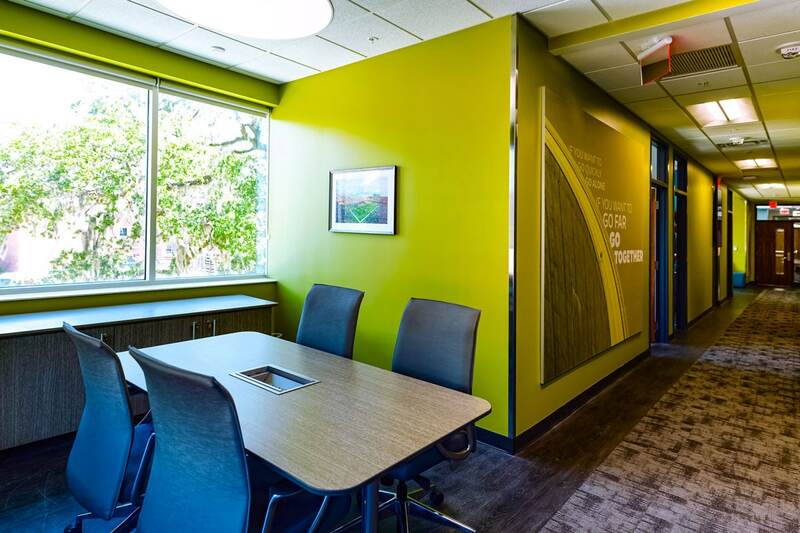 While the Career Connection Center seeks to engage students by offering an inviting, dynamic, professional environment where all feel welcome and comfortable, the concept of biophilic design seeks to create a habitat for people that satisfies our inherent need to connect with nature. 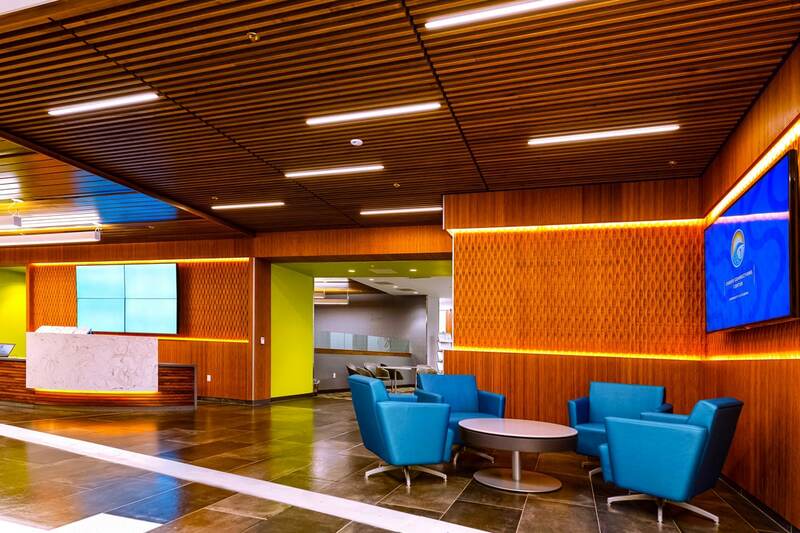 The design provides a bridge to the professional world by fostering positive, sustained interactions and relationships among people and the natural environment. 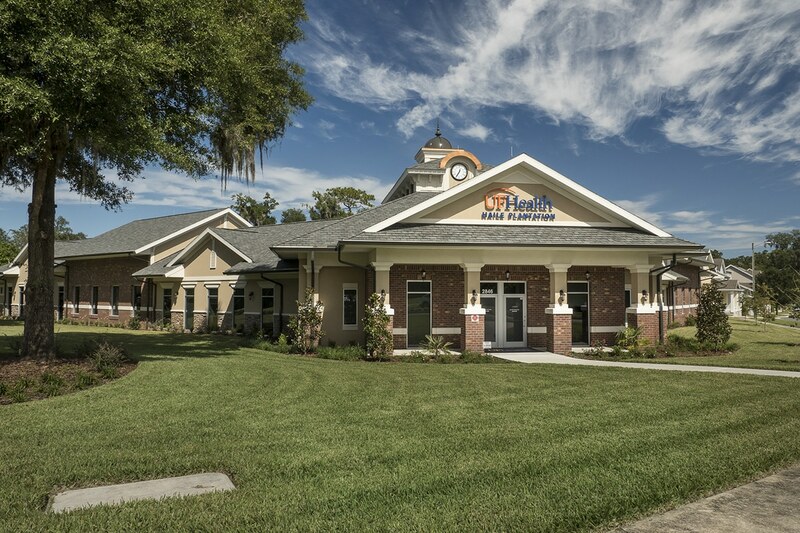 In turn, the Career Connections Center acts as the bridge that connects a student’s current and past life with their future professional life at the scales of the individual, university, and career as a whole. 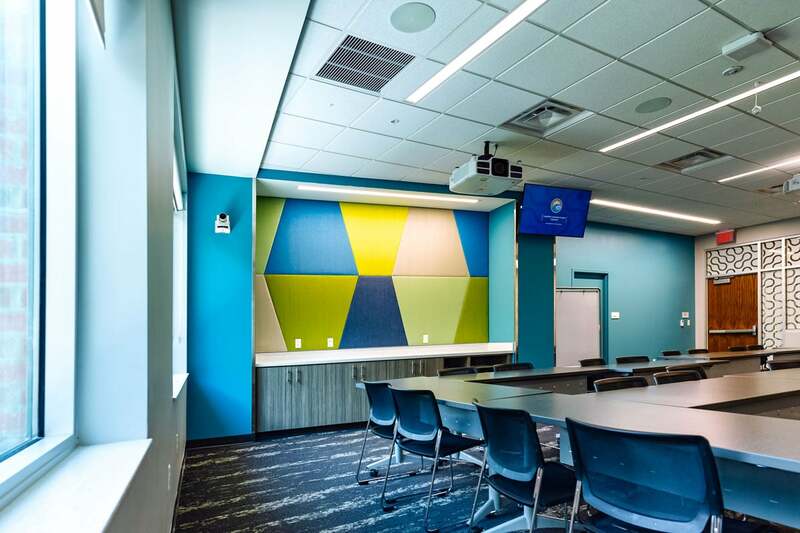 Colors & materials derived from nature, particularly drawing from the swamps, shores, and wetlands of Florida, as well as the high-tech university atmosphere, embodied the Career Connection Center’s modern, professional image and strong identity within Florida, and the UF campus culture. both a literal and figurative metaphor of navigating through the college and career experience. 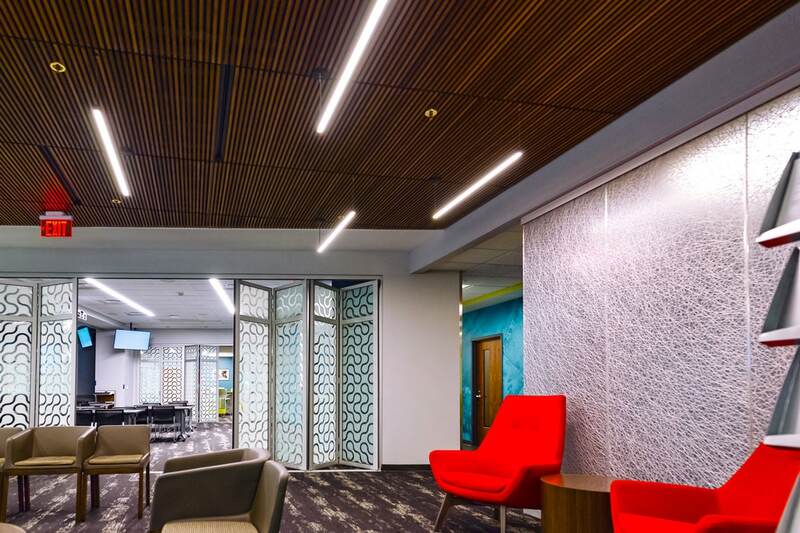 Biomorphic forms, pattern, and visual & tactile textures: Articulated bamboo wall panels, 3D fabrics, and highly textured tiles invoke the surrounding natural landscape. 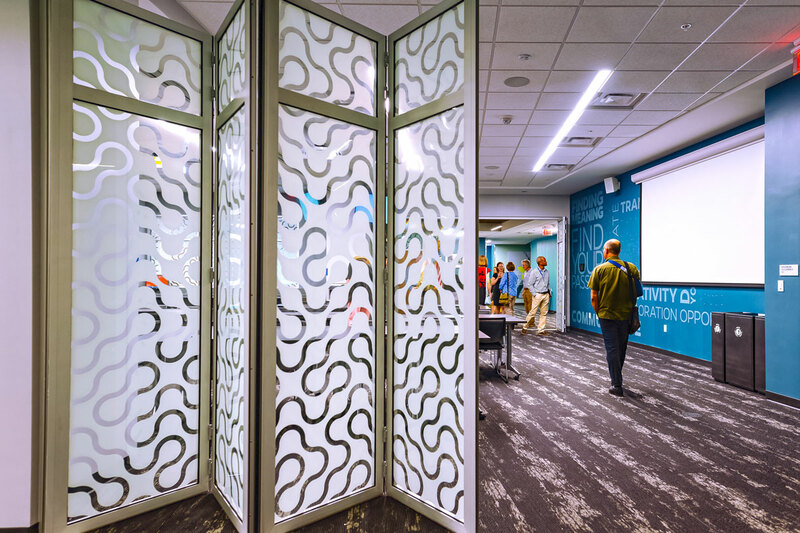 Pattern: Resin Panels, Vinyl applique on glazing, and luxury vinyl tile represent nature translated through modern materials with a technological edge. 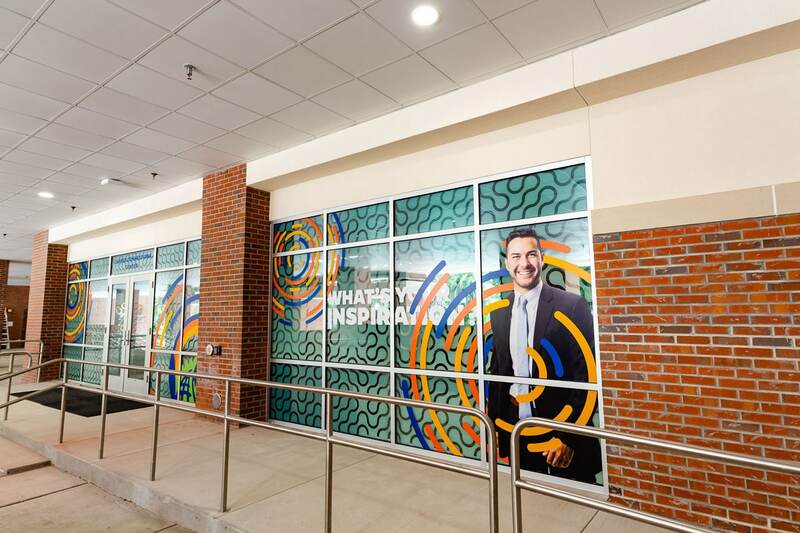 Environmental graphics and branding: A myriad of diverse, multi-format wall and window signage and graphics provide dynamic visuals that create drama, attract attention, and strengthen the Career Connection Center’s unique identity.